Editor’s note: This is the first installment in a series examining labor litigation brought under the Fair Labor Standards Act that will delve into the issues driving FLSA litigation, examining the growth in the number of lawsuits and the impact such litigation is having and will have on employers of all sizes and types and their employees. 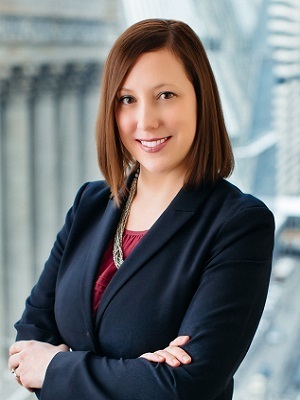 CHICAGO (Legal Newsline) - As the rules have continued to evolve, attorney Maureen Salas has kept busy keeping up, helping hundreds of workers head to court to lay claim to the wages they believed they are owed. Perhaps it might be a restaurant employee who walks into her office. While he may be officially labeled a cook or assistant manager, he often works from open to close, 60 or more hours a week, with only one day off. Because of his job title, the restaurant’s owners pay him a salary, rather than an hourly wage. That could mean he has not been paid overtime in months, as the owners point to the federal Fair Labor Standards Act, noting they believe his position is among those exempted from the law’s provisions requiring the payment of overtime. The cook, however, says he believes he should be paid for the time he has worked over 40 hours. And Salas, a shareholder in the Chicago firm of Werman Salas PC, believes he may be right; together, they may sue the restaurant for which the cook works. These kinds of cases have helped Salas’ firm grow to become one of the region’s leading firms filing wage and hour cases under the FLSA. The firm alone has filed more than 600 FLSA cases since 2001, most in Chicago’s federal courts, seeking judgments or settlements from employers over allegedly unpaid wages. Salas said her firm has helped more than 250,000 people obtain some of the unpaid wages they believe they have earned. In Chicago and nationwide, the number of wage and hour lawsuits filed under the FLSA has been steadily on the rise for most of the past 25 years. And area lawyers expect to see yet another spike in litigation as employers and employees alike see what will come of further changes to the rules governing enforcement of the FLSA by the U.S. Department of Labor. Since the FLSA’s inception in 1938, wage and hour lawsuits have been filed under the statute, which requires most employees in the U.S. to be paid at least the federal minimum wage and overtime pay at time-and-a-half. Seyfarth Shaw LLP, an international law firm with a main office in Chicago, has kept tabs on such cases. Ed Bergmann, a senior partner at Seyfarth who specializes in labor and personnel relations, said his colleagues commonly refer to a chart, published by Seyfarth using statistics from the Federal Judicial Center, which reflects the growing number of FLSA lawsuits filed since 1990. According to those statistics, the number of FLSA suits filed nationwide has increased sharply in the last quarter century, increasing from 1,257 cases in 1990 to 4,055 in 2003, 6,786 in 2007 and 8,126 in 2014, or more than doubling in the last decade. “The number of lawsuits filed under the Fair Labor Standards Act has been growing significantly over the years, and it has passed the number of cases filed under Title VII [of the Civil Rights Act],” Bergmann said. “The biggest number of cases filed in federal court today are FLSA-type cases. According to data pulled from online federal court records, the number of FLSA suits filed in the U.S District Court of the Northern District of Illinois has followed a similar trend. In 1990, just 34 FLSA suits were filed, compared to 102 in 2003, 170 in 2007, and 465 in 2014, records show. Pre-2000, FLSA suits weren’t prevalent in the court system, mainly because the damages weren’t that significant, said John Michels, a partner at Lewis Brisbois Bisgaard and Smith LLP in Chicago. Several factors have led to the shift in FLSA litigation in recent years, however. From a technical standpoint, federal standards for class certification have tightened up, so a large number of cases have been filed as multi-plaintiff instead of class action, Michels said. But Michels also credited growing awareness among workers themselves of the FLSA itself and the protections it offers employees. “The states themselves and the Department of Labor, Hour and Wage Division . have tightened up their rules on monitoring what they call ‘wage theft,’ so their focus has driven a lot more intense scrutiny on employee status,” Michels said. The last time the DOL became involved with FLSA modifications - discussions began in 2003, with new regulations formally adopted in 2004 - FLSA suits surged, Bergmann said. And with new regulations regarding white-collar exemptions coming from the DOL, it’s likely that more cases will be filed in the near future. In February 2014, Janice Balonek and Jana Bready, former managers at Dominick’s Finer Foods stores, filed a class action lawsuit in Chicago federal court, alleging the now-closed supermarket chain violated the FLSA by failing to pay managers overtime. The lawsuit stated Balonek and Bready, along with more than 100 other former salaried managers, were classified as exempt, even though the primary duties of their job positions consisted of non-exempt and non-managerial activities. This past February, Safeway, who owned Dominick’s, reached a $1.7 million settlement with the group of 104 former managers. FLSA exemptions always have existed for certain employees. Collectively known as “white collar” exemptions, they may include executive, administrative, professional, outside sales and computer employees. Such employees “earned salaries well above the minimum wage and enjoyed other privileges, including above-average fringe benefits, greater job security and better opportunities for advancement, setting them apart from workers entitled to overtime pay,” according to the DOL’s Wage and Hour Division. But frequently, employees are improperly classified as exempt, Michels and Salas contend. This kind of situation has led to numerous actions against restaurants, in particular. Recently, restaurant chain Jimmy John’s was hit with FLSA lawsuits over just this question, as classes of assistant managers have sued over the alleged misclassification of their job status and unpaid overtime. Three of those cases were recently transferred to Chicago’s federal court. Salas said classification problems also extend to restaurant servers, who typically can be paid below minimum wage as long as their tips over a certain time frame add up to the minimum wage. However, classification headaches are not limited to low wage occupations. Michels noted white collar employers can also find themselves the targets of FLSA litigation. Many employers may believe, if they pay their employees a salary, they are exempt from overtime pay. There are three tests that regulate who is exempt - a salary basis test, salary level test and duties test - and all have complex definitions, many of which seem outdated, said Elizabeth Milito, senior executive counsel for the National Federation of Independent Business. Beyond filing technicalities and a heightened awareness of the FLSA subject all around, some believe the economic depression of the late 2000s may have triggered more suits. Employees who may have been hesitant to litigate in the past have been opening up to talk because things are tough, Billhorn said.